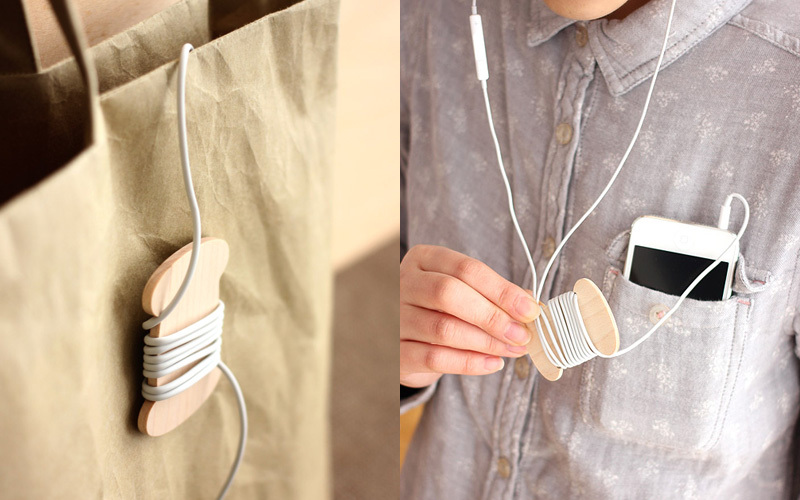 Just like a thread on the spool, this wooden reel rolls up and organizes your earphone cord. 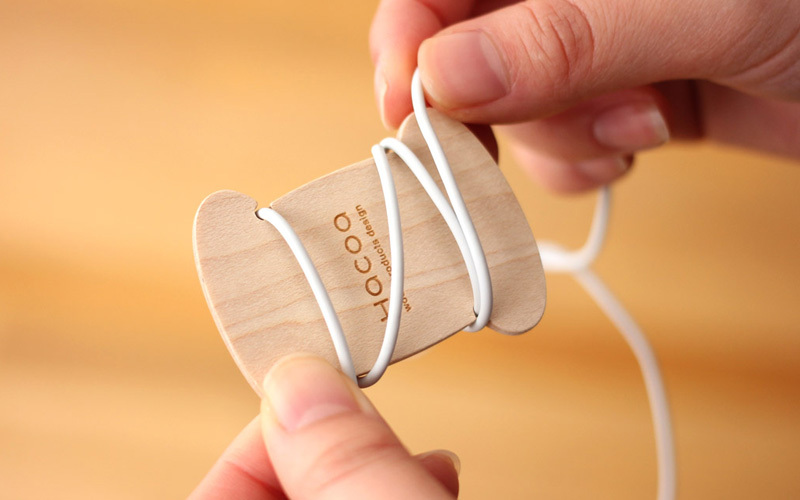 Hitching it to the notch prevents loosening or getting tangled. 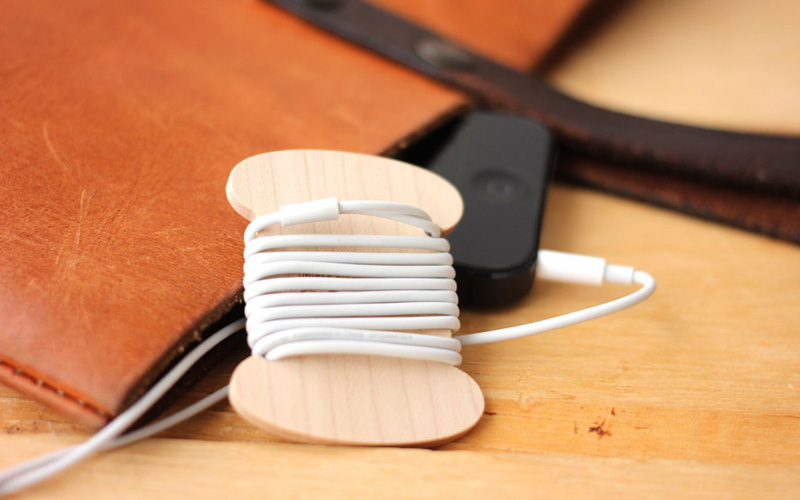 Its compact size is great for carrying along with your portable music players.